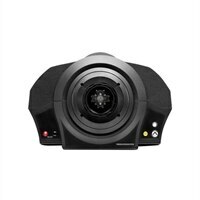 Thrustmaster TX Racing Wheel Servo Base - Game controller wheel base - for Xbox OneThe TX Servo Base, released under official Xbox One license and PC compatible, is the cornerstone of a racing simulator that every player can configure according to their requirements on both these platforms. It revolves around an industrial-class brushless motor that delivers smooth and seamless Force Feedback effects that are both reactive and latency-free. The TX Servo Base, released under official Xbox One license and PC compatible, is the cornerstone of a racing simulator that every player can configure according to their requirements on both these platforms. It revolves around an industrial-class brushless motor that delivers smooth and seamless Force Feedback effects that are both reactive and latency-free.